Ubisoft’s The Division 2 is the latest game to tackle accessibility options in the AAA space, launching with an assortment of settings aimed at increasing inclusivity for gamers with disabilities. Among these options are a narrator for menus, user interface editor, and various types of subtitles. While Ubisoft has been vocal about its work on accessibility for some time now, even including accessibility options in prior releases such as Assassin’s Creed Odyssey and Far Cry New Dawn, The Division 2 is a particularly great opportunity to take the feedback given on those games and apply it to a live service game, bringing an experience that is playable for as many players as possible, across major platforms. Players, developers, and journalists have already started talking about The Division 2’s accessibility options on social media. Senior Games Researcher James Berg from EA Vancouver briefly talked about his personal experience around the UI on Twitter, while Courtney from Can I Play That? examined the options in more detail with her deaf game review. Digital Trends reached out to more people to hear about their own experiences with the accessibility of The Division 2, including a comment from publisher Ubisoft that addresses some of the feedback and its plans for the near future. When enabled, it will initialize a robotic voice that reads text aloud, making it a bit easier to navigate through menus. It covers the character creation screen and the general settings of the game, but that’s about it. Players who were excited to use this option were expecting a much more thorough approach to the menu narration feature considering The Division 2 is a game where you’re constantly in menu screens managing your inventory, weapons, skills, and more. Sightless Kombat, a YouTube creator and gamer without sight, told us about their experience with menu narration in The Division 2. They go on to explain that while the options in the character creator are narrated, key parts such as selecting between different hair and skin options aren’t explained verbally at all. “You’re essentially stuck with the option the game gives you without sighted assistance”, they add. On the bright side, they were pleased to find that these options were available in pre-launch instances of the game and to make matters even better, were also included in the final and public version of the game — a rarity with console betas. Low vision gamer Victor André argues that while he likes the menu narrator feature, he expected it to be better. “I thought I would be able to read while applying the weapons mods, as well as accepting/inviting/mute options for groups. You can get much more out of it”. 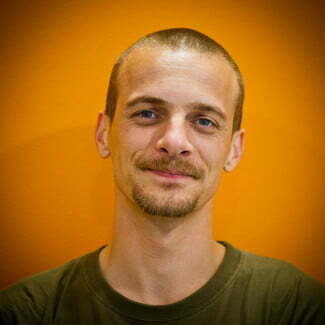 André also wishes that the narrator would read some of the longer descriptions found in the missions’ lore, as well as the tutorial tips that can be found in loading screens. Video game accessibility consultant and blind gamer Steve Saylor says that he loves the feature, but agrees that narration in some of the more complex menus would’ve improved the overall experience. “I usually don’t need a narrator for menu items but there are odd games where I realize it would’ve been such a godsend and then became sad because that option wasn’t available. When I saw it was added to The Division 2 and you can see that option right away before the game began, I immediately turned it on,” he said. Saylor adds that all of these small things were great for his experience but the game’s difficulty is a bigger issue. Its something that he’s covered on his YouTube channel. 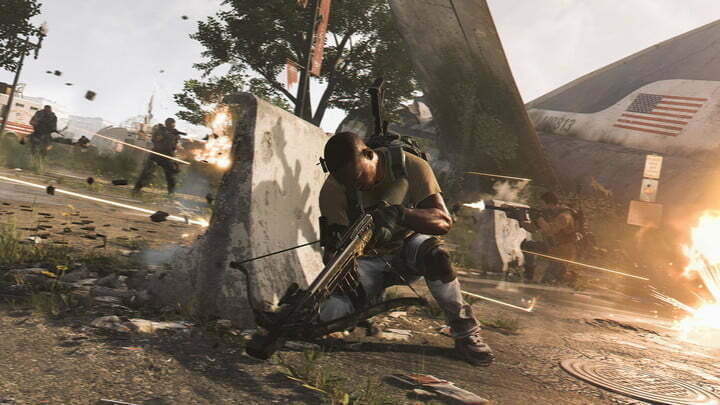 One of his sticking points was that enemies that are far away from the player in The Division 2 are harder to aim at and that it can pose a struggle early in the game when most of the weapons have a high recoil. “Even though there is auto aim assist, it doesn’t help once you fire your weapon. I’ve been told by other players that aren’t disabled that it can be the same for them as well,” Saylor explained. “Ubisoft did a lot of things right with [the] game’s accessibility and the negative aspects I have with the game are minor, but can be improved upon”. 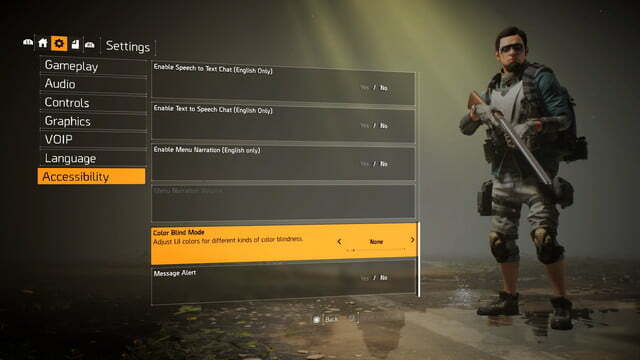 Another concern many players had with The Division 2 is related to the text size of the button prompts located on the left corner of the screen. The prompts display different actions depending on the menu you’re in and can be hard to read even when you’re close to the TV or monitor. 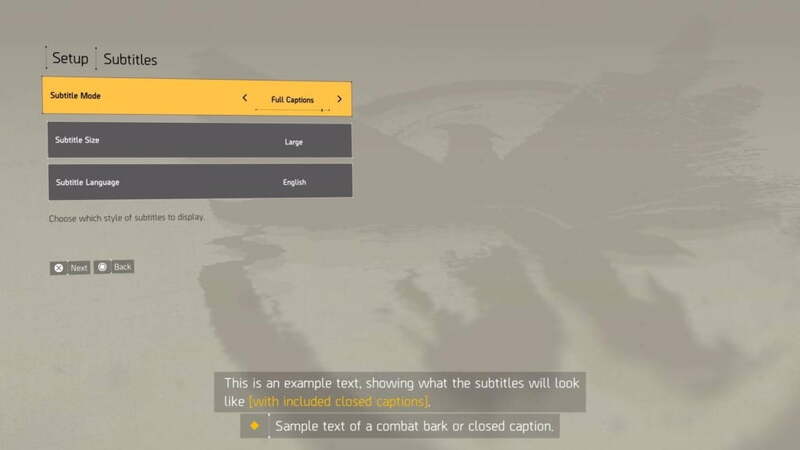 While the option to make text bigger is presented in The Division 2 from the very start, it doesn’t apply to everything. Codeyswearse talked to us about this. He also thinks there should be an image that shows how each of the colorblind options will display in the game, and that it would be nice to see more language selections available for the menu narrator. DOOM being one of my favorite series that still holds up today, I&#39;m excited to see the real thing start being more playable for blind users. “My dream, though, would be for those menus to be narrated through text-to-speech just like the main menu.” he adds. Being able to customize aspects of the HUD is a great start, but as players have pointed out, juggling through multiple menus that don’t have consistent narration or bigger font becomes tiresome fast. When speaking with David Tisserand, Accessibility Project Manager at Ubisoft about the companies plans for improving accessibility, he confirmed that the company is actively listening to the community and their feedback to improve the accessibility of not only The Division 2 but across all upcoming games. “It was a matter of finding the right technology and the right design flow so we could allow sightless players to use them without any external assistance”. In response to recent comments about The Division 2, Ubisoft Massive tells us it’s their plan to address some of the issues in upcoming updates. In regards to the menu narrator, they’re “looking at supporting more and more parts of the menu over time”. Text sizes are something the publisher is aware of, too. Ubisoft may have already taken the first steps by including new features that make The Division 2 more accessible, but the room for improvement is clear. Ubisoft says it’s listening and that there are plans to improve the experience for marginalized gamers in The Division 2. Hopefully, we’ll see these changes soon and in upcoming games from the AAA studio.